While starting my walk out Sandy Point in West Haven, CT this morning, I came across a lone gull and noticed naked eye that it appeared to be a very small Herring Gull with a long, narrow two-toned bill. Lifted up the bins, and...blue-gray legs?! It took flight. 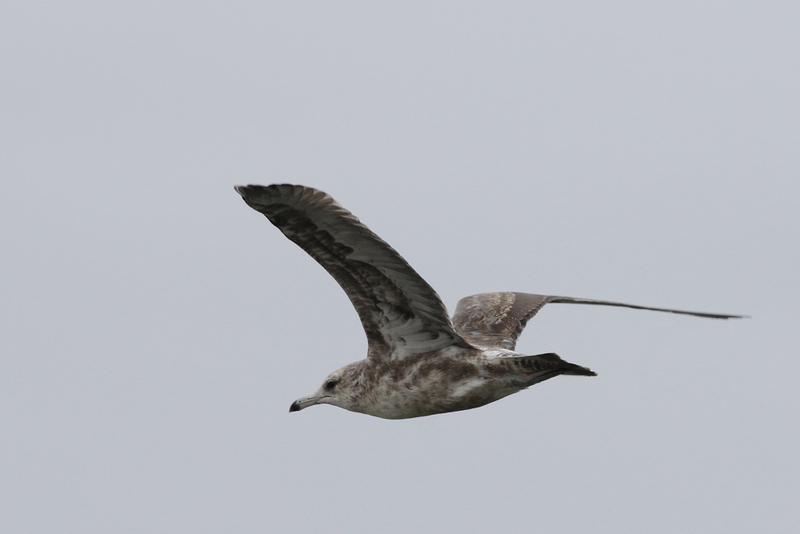 Long, narrow wings. Hardly obvious pale inner primary window. Hmmm. 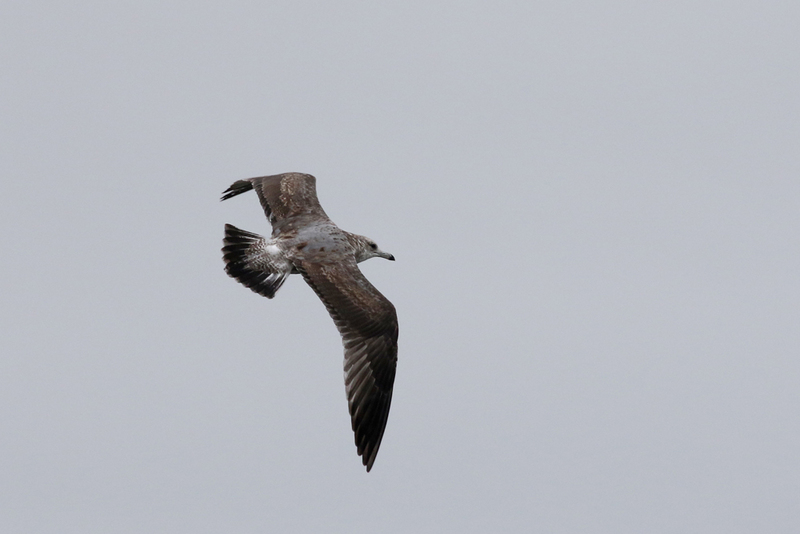 That looks more like a second cycle CALIFORNIA GULL than anything. I watched the bird sail west down the beach and out of sight. I had snapped off a few photos as the bird was flying away, and upon checking the LCD they only reinforced my field ID of the bird. I was oh so relieved to see that it had landed not far away, right in front of Chick's Restaurant, with a small mixed flock of gulls. The bird was between Herring and Ring-billed in size, and now that I was able to study the bird in the scope to double-check my initial mental notes, the ID was straightforward. 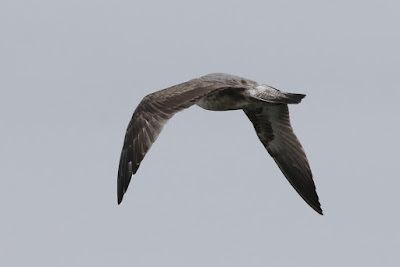 It soon took flight again, heading back towards Sandy Point. I was unable to relocate it over the next hour or so. 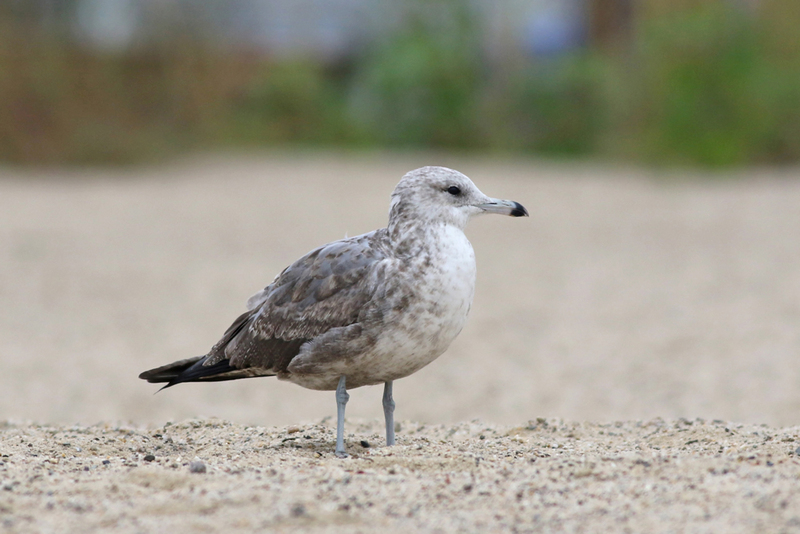 As far as I can tell, I do not see any reason to call this a different bird than the first cycle California Gull that was first found back in March at Hammonasset by Stefan Martin (first state record) and later stumbled upon by moi in West Haven, where it settled in for several days. 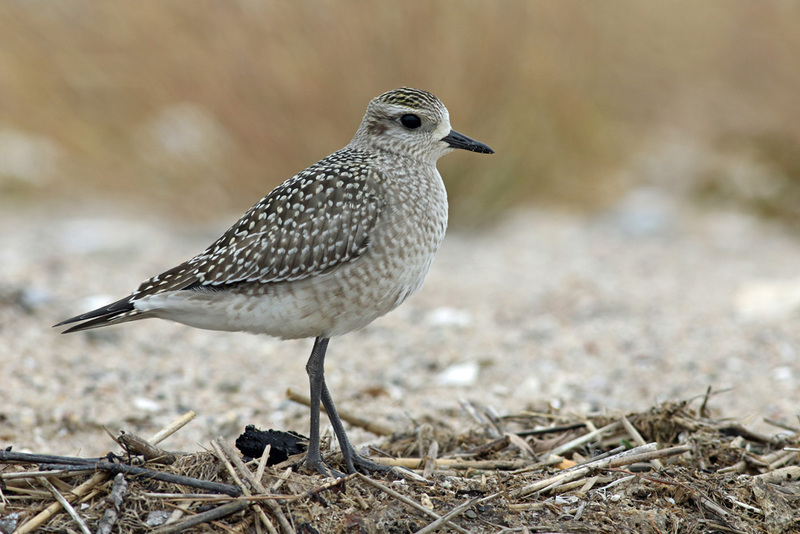 The bird's age, location, and female-like structure all add up. One probably can't be sure, as stranger things have happened in the bird world, but the odds are high. I assume it is the same one. 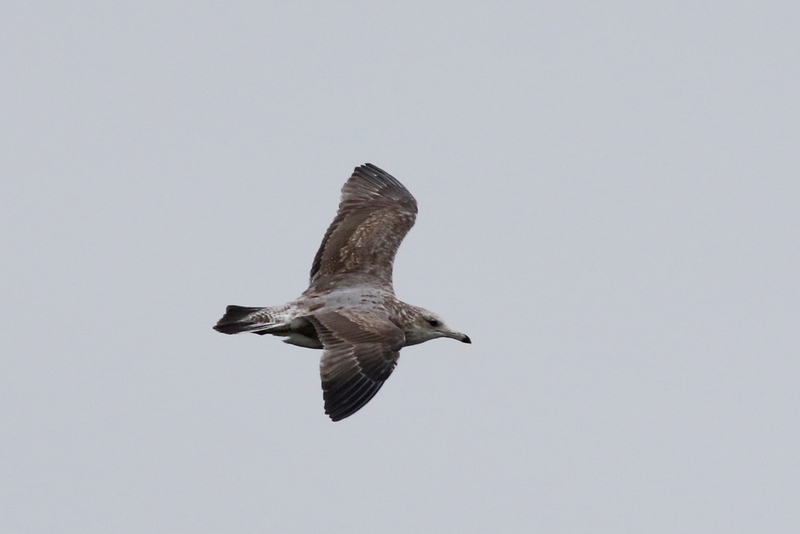 I wonder where it spent the summer, as I have been scouring the gulls in that area since early July. 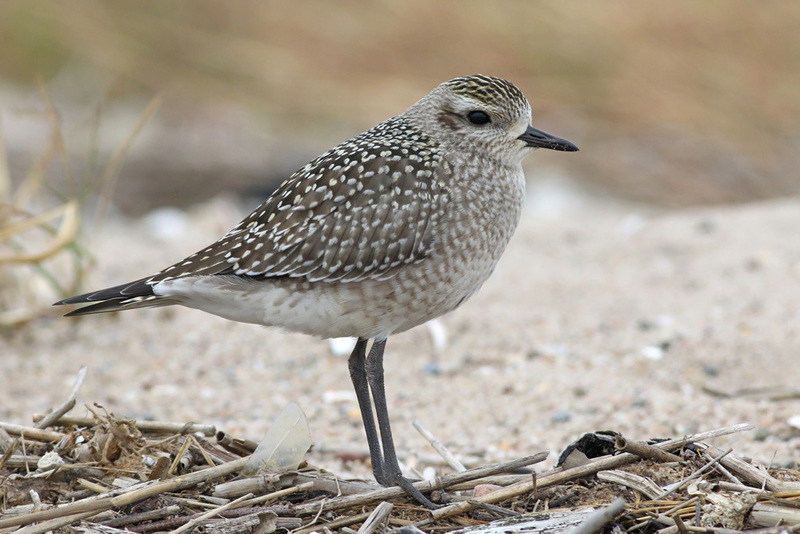 This juvenile AMERICAN GOLDEN PLOVER was also on the beach, taking shelter at high tide from a stiff northeast wind.